In the nineteenth century, the beauty of North Carolina’s Highlands attracted tourists from throughout the nation, and not a few of them decided to buy a piece of it. 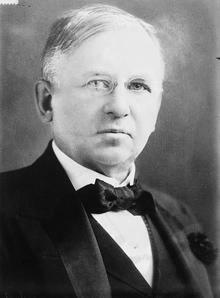 Such an investor was John Wanamaker, founder of Philadelphia’s first department store and Postmaster General under the administration of President Benjamin Harrison. Wanamaker, mining magnate Hugh McRae, and a handful of other businessmen from the Eastern Seaboard formed The Linville Company in 1885 to buy more than 15,000 acres of craggy mountains and rolling meadows along the Linville River in western North Carolina. They bought Grandfather Mountain, Grandmother Mountain, and the sites of several future resort towns such as Linville and Lenoir. Throughout the Gilded Age, Wanamaker and other millionaires such as George Vanderbilt found solace in the spectacular Carolina mountains. The Highlands’ thriving tourist industry today owes much to the love of these first wealthy tourists.